Why do we price our bbq pits at such low prices? It is a question we get often. 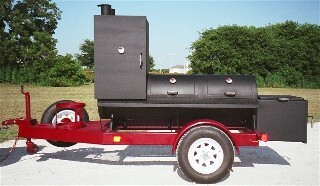 People are used to paying more for high end portable smokers and wonder how we can build our pits and sell them so low. These are some of the things we do that help keep costs down. 1.- Materials: We build your pits with steel plate. We do not use pipe. The plate we shear and roll to form any diameter cylinder. The plate saves money in two ways. It costs less than pipe and it also is reduces our inventory costs, since we do not need to stock all different sizes of plate. It also eliminates the temptation of sneaking in used pipe every now and then.... you can't buy used plate to build a smoker. 2.- Manufacturing: Having one welder build the entire smoker is very nice but, someone has to pay for all the waste in time and resources. That someone is you. At Old Country the smokers are build by teams or artisans who have many years of metal working experience. 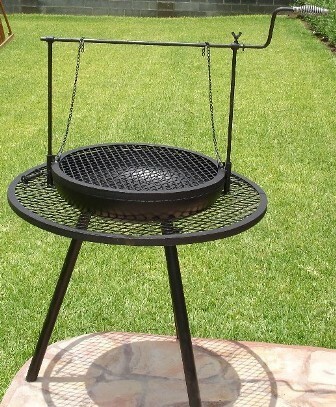 Some artisans build the different components of the smokers while others welded them together. It is over simplified here but the philosophy is to take all the care possible to build a great smoker without throwing away resources. 3.- Purchasing: Purchasing the materials is just as important as selling the bbq pits. We purchase the materials in bulk to reduce their cost and also we buy many of the components directly from the manufacturers. 4.- Location: Old Country BBQ Pits is based in Laredo Texas. This allows us to have the manufacturing facilities in Mexico. By fabricating in Mexico with a combination of American materials and Mexican labor the cost of fabricating the smokers is reduced tremendously. 5.- Margin: We enjoy healthy sales and we do not need to make all our profit from the one pit you buy. Just like buying in volume reduces our costs our sales level reduces our need to charge more per smoker. So, it is not one thing that we do but, a combination of many elements that help us produce at lower costs and pass those savings on to you.